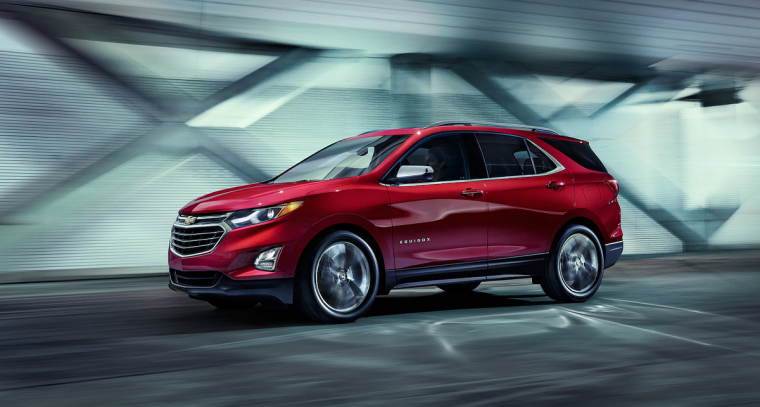 A popular option in the SUV segment, the 2019 Chevrolet Equinox is ready to tackle the open road. The Equinox offers seating for up to five passengers and plenty of cargo room so you won’t have to leave anything or anyone behind. The 2019 Chevrolet Equinox is available in four trims: L, LS, LT, and Premier. 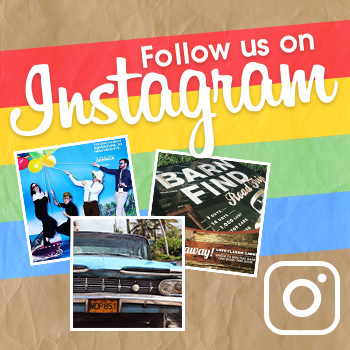 After its redesign last year, including a new platform and added technology features, the Equinox remains primarily the same for 2019. 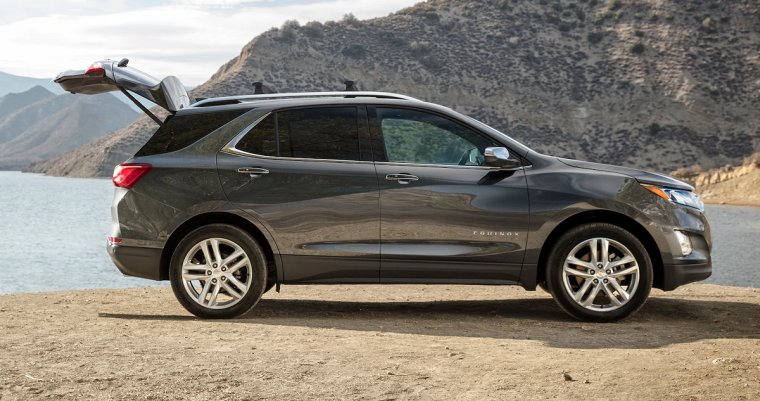 The Equinox has been a popular choice in Chevy’s lineup for some time now, and it continues to have a sleek and sporty design. Deep character lines give the Equinox a strong stance, while convenience features like heated outside mirrors and an available hands-free gesture liftgate make life behind the wheel a little bit easier. The 2019 Chevrolet Equinox is available in 14 exterior colors: Cajun Red Tintcoat, Iridescent Pearl Tricoat, Nightfall Gray Metallic, Sandy Ridge Metallic, Ivy Metallic, Satin Steel Metallic, Storm Blue Metallic, Silver Ice Metallic, Summit White, Mosaic Black Metallic, Pepperdust Metallic, Orange Burst Metallic, Kinetic Blue Metallic, and Pacific Blue Metallic. 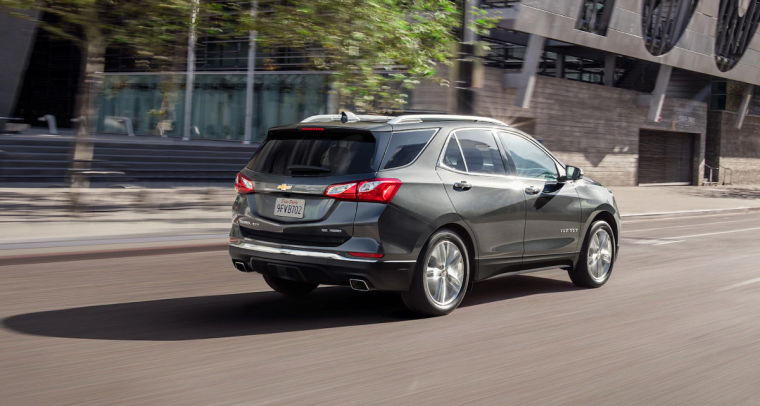 There are three performance options on the 2019 Chevrolet Equinox. The standard 1.5-liter turbo four-cylinder engine comes with Variable Valve Timing and a six-speed automatic transmission, giving off 170 horsepower and 203 lb-ft of torque. On the LT and Premier, you can opt for a 1.6-liter four-cylinder turbo diesel engine with an output of 137 horsepower and 240 lb-ft of torque. The diesel engine sports the largest towing capacity at 3,500 pounds. At the top of the range — also available on the LT and Premier — is a 2.0-liter turbo four-cylinder engine with direct-injection and VVT. This engine is paired to a nine-speed automatic transmission, giving off 252 horsepower and 260 lb-ft of torque. 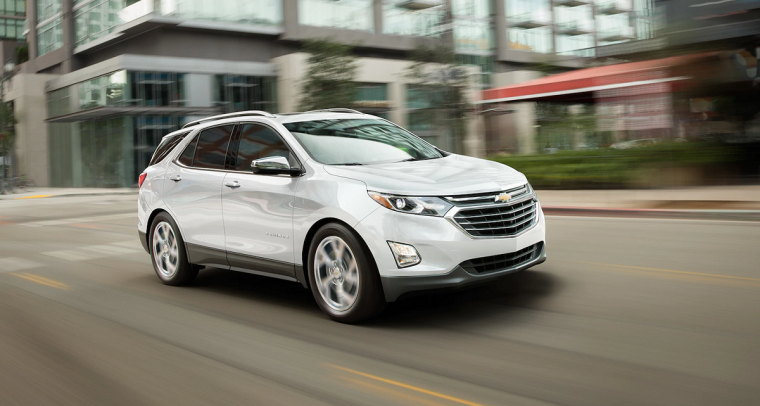 At its base, the 2019 Equinox earns an estimated 26 mpg in the city and 32 mpg on the highway with the standard 1.5-liter engine. Its range-topping 2.0-liter engine earns 22 mpg in the city and 29 mpg on the highway. The best fuel efficiency ratings come from the diesel engine, earning 28 mpg in the city and 39 mpg on the highway. 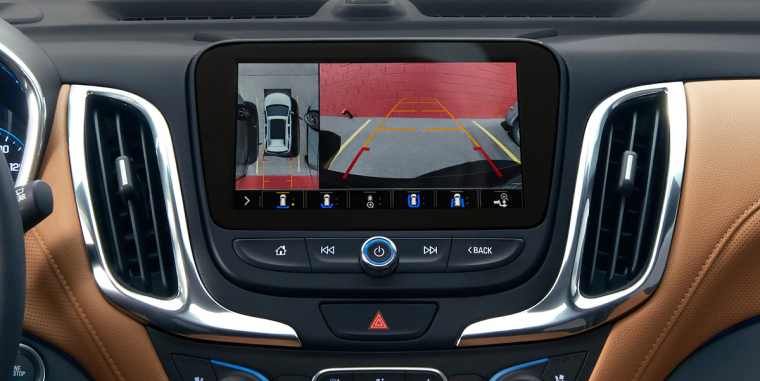 The Chevy Equinox is decked out with the latest technology features, including advanced infotainment. 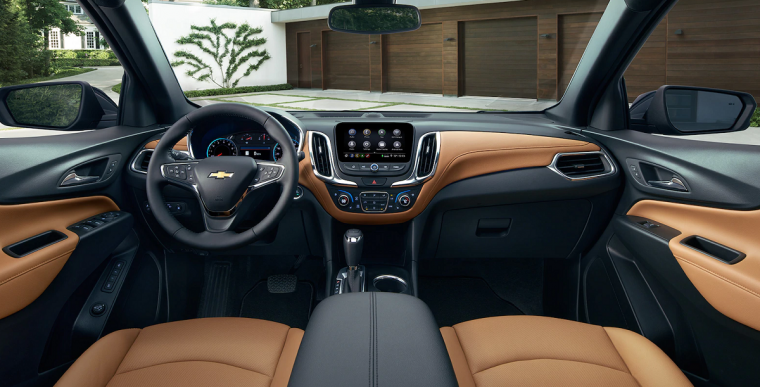 Its base trim comes with a built-in 4G LTE Wi-Fi hotspot and a Chevrolet Infotainment 3 System. The infotainment system comes with a 7-inch diagonal color touch screen for easy use. The LT adds SiriusXM Satellite Radio, while the range-topping Premier comes in with wireless charging and an upgraded 8-inch diagonal HD color touch screen. As a parent, teaching your teen to drive can be one of the most challenging and terrifying things. There’s no how-to manual for parents to teach their kids to drive, but the Chevy Equinox comes with Teen Driver mode to help you out. Teen Driver mode lets parents regulate their teen’s driving with things like volume and speed restrictions. The system also gives you a report card of your teen’s driving so you can check their progress.